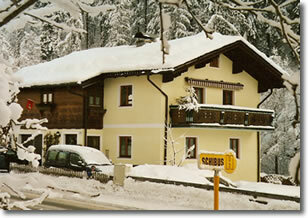 Welcome to our family-friendly and comfortable apartment house situated in Wagrain. We are located within 5 minutes from the town centre, being just a short stroll away from downtown shopping facilities, banks, restaurants, hotels, bars, skiing schools and the tourist information centre. The free ski shuttle departs from the bus stop across the street.